How Much Storage Do I Need on My iPad Pro/Mini/Air? iPad is capable of covering all your needs whether it is listening to your favorite music, watching a movie, reading a book, or playing a game. Since iPad nowadays are available in different storage options e.g. 16GB, 32GB, 64GB, etc., it would be a good idea to assess your needs and determine how much storage do you need so that you can buy the suitable iPad variant. How Much Storage Do I Need on My iPad? 1. How Much Storage Do I Need on my iPad for Movies? 2. How Much Storage Do I Need on My iPad Pro for Gaming? 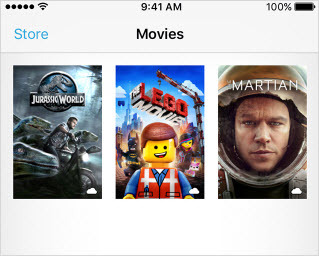 How Much Storage Do I Need on my iPad for Movies? If you don’t watch movies offline and prefer to watch them online via streaming services, then 32GB to 64GB storage would be sufficient. If you like to download and watch movies offline, then it is recommended that you go for the 128GB variant. How Much Storage Do I Need on My iPad Pro for Gaming? 32GB or 64GB variant of iPad would be sufficient if you don’t play lots of games. If you want to have lots of HD games on your iPad, then consider buying at least 128GB variant of iPad. The amount of storage you should go for depends entirely on your specific needs. You can keep track of storage via Settings app of your iPad. The About > Summary section in the Settings app will show you how much space is being taken by apps, movies, music, etc. If you are wondering how much content you can store on specific variants of iPad, then the following rough estimates will help you. With regular use, iPad tend to produce lots of temporary/junk files that take up a lot of storage space. If these temporary/junk files are not cleaned, they can slow down your iPad's performance. 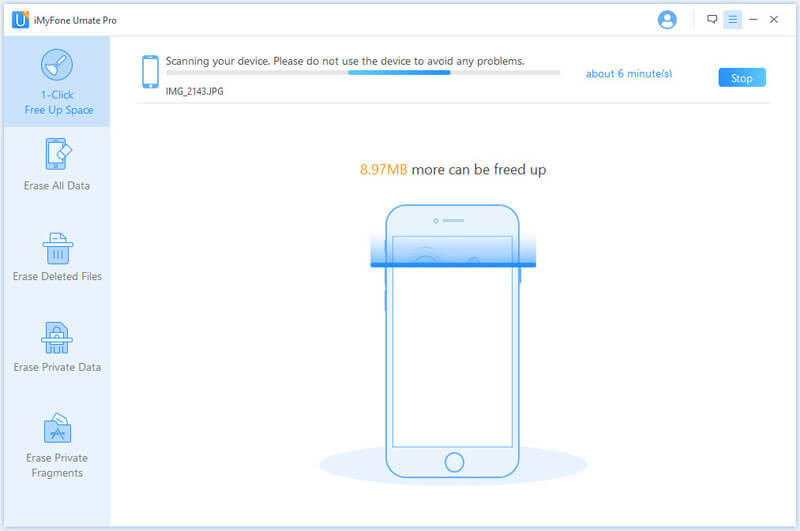 You can free up space and boost your iDevice’s performance by using a third-party data erasing software iMyFone Umate Pro. 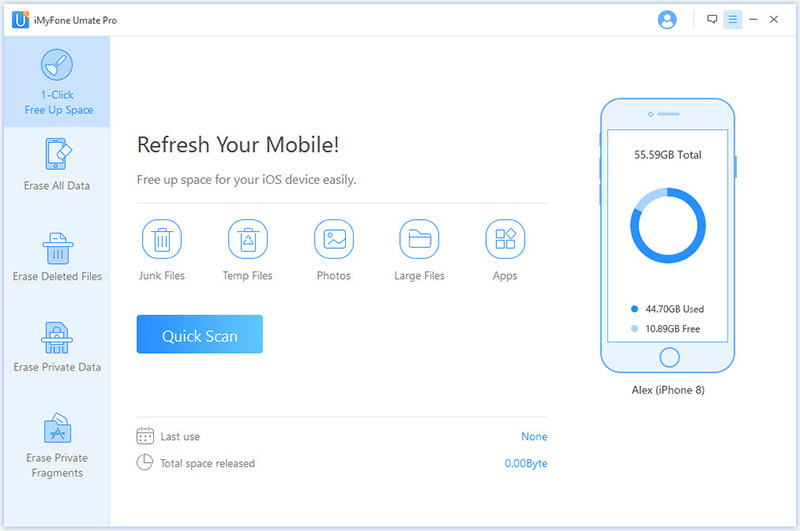 Scan and clean all hidden junk files on your iDevice and boost its performance significantly. 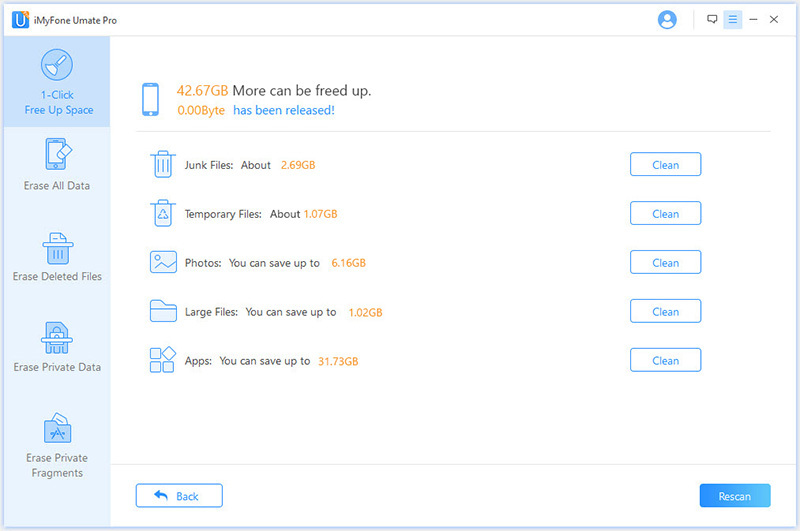 Scan and clean large files on your iDevice and free up lots of storage space. Compress photos with advanced compressing techniques and decrease their size significantly without sacrificing the quality. Scan and erase multiple unused apps from your iDevice. Scan for deleted files on your iDevice and permanently erase them so they can never be recovered via any data recovery software. It's recommended by lots of noted media arround the world: MacWorld, iPhoneinCanada, APPKED, etc. How to Save Space for iPad? Step 1. Install and open iMyFone Umate Pro on your computer, then connect your iPad. Step 2. Click on the Quick Scan button at the first interface. Step 3. After scanning, you will see how much space can be freed up on your iPad. Click the clean button to clean up the space. Don't Miss: How to Add Storage to iPad? Find Tips Here! How to Add Storage to iPad? 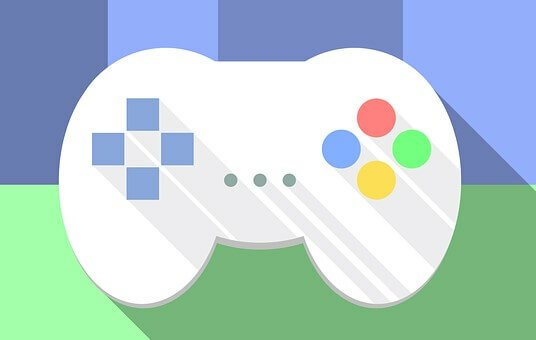 Find Tips Here!